Who Other Than Mads Mikkelsen Could Help Carlsberg Reinvent the Danish Way? While there is no exact formula people can follow in order to achieve the highest level of contentment in life, it seems like the Nordic people are on to something. The Internet is abound with articles that describe the Scandinavian happiness. According to the second happiest country in the world, Denmark, this Nirvana status of well-being can be achieved through a balanced lifestyle — and of course through hygge [hoo-gah], a coziness-like mood. This is what the new Carlsberg initiative is trying to get across to the public. 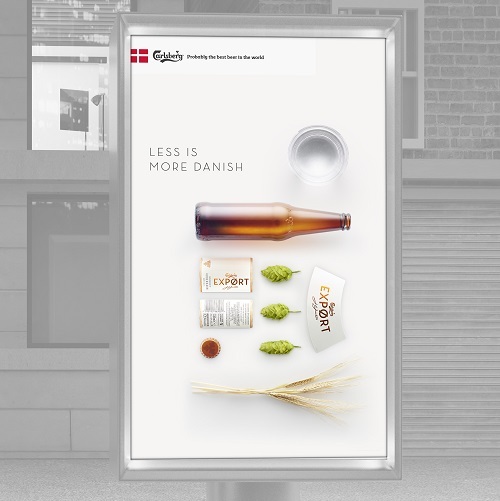 The beer brand, in partnership with Fold7, launched “The Danish Way” a campaign inviting consumers to discover what the secret is behind the Dane’s happiness. 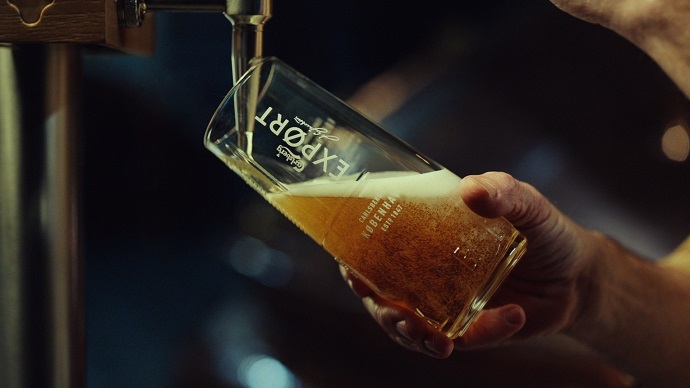 Aiming to revive Carlsberg and Carlsberg Export brands in the UK, the brave initiative, which features a dazzling 60-second TV spot, subtly describes the reason that stands behind the Northern people’s ‘beatitude’: a perfectly balanced beer. The nation with happiness in its DNA can be discovered through an impressive visual expedition, guided by the star of the Hannibal TV series: Danish actor Mads Mikkelsen. 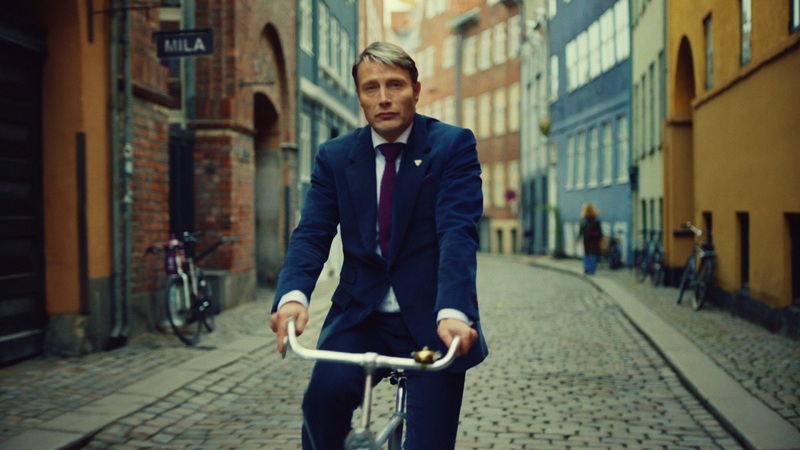 The charming man, who plays the role of a modern philosopher, carries viewers through the most iconic places in Copenhagen while cycling, of course. His masculine voice, a delight for listeners, reveals step by step what the progressive nation does to achieve the highest level of happiness. 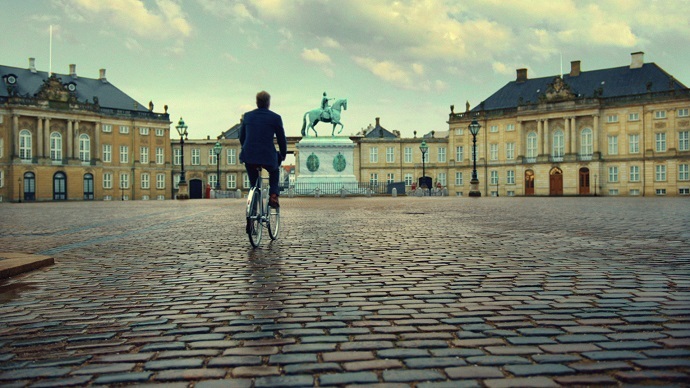 He cycles through the Amalienborg Palace and the Kastrup Sea Baths, then shortens his way to his final destination, passing through an apartment and a hygge forest picnic, keeping the audience in tension, waiting for the perfect moment to reveal the nation’s way to reach happiness. 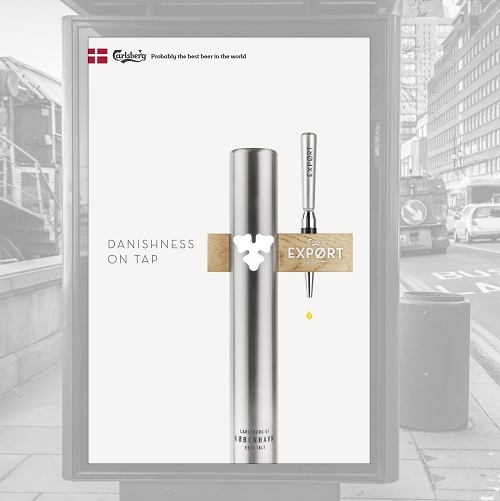 The £15 million campaign dares beer enthusiasts to directly interact with the brand; in partnership with Shazam, Carlsberg invites consumers to experience the vivid Danish lifestyle. After photo-scanning the Carlsberg Export brand, beer lovers will be transported to a digital world where a lot of luxury gifts await them. Also, to celebrate this rebranding campaign, over 200,000 København glasses will be offered as a gift of purchase. This initiative brings together people who share the same opinions and ideas, like the love of a perfectly balanced beer. But beer can also approach people with completely different life views. At least that’s what another beer brand, Heineken, told us in its latest campaign created with the help of Publicis London. Their experiment-style film, titled Worlds Apart, demonstrates that although different opinions may push people further away from each other, the same disagreements have the power to make people more united. While the official launch of the 60-second-long-film directed by Martin Krejci of Stink Films took place on 21st April on Channel 4’s Gogglebox, a series of 10-second unbranded teaser spots foretold its big entrance. Finally, all the buzz created around it delivered the stunning campaign, which represents a soft definition of the nation’s life philosophy. The TV spot will continue to run until 15 May, with a return on the big screens in September. Also, the ad will be shown in cinemas, on digital platforms like Facebook, Twitter, Instagram, and Snapchat, and will enchant pedestrians’ eyes with a series of OOH adverts.